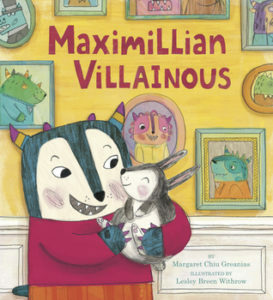 Margaret Greanias was inspired by her children’s love of the Despicable Me movies and all things Minion when writing Maximillian Villainous, her debut picture book. She lives with her husband, three children, and a fluffle of dust bunnies in the San Francisco Bay area. Lesley Breen Withrow is the illustrator of several picture books, including You’re My Boo by Kate Dopirak and Bunny Bus by Ammi-Joan Paquette. Her artwork can also be seen on many products, including stationery collections and children’s games, toys, and apps. Lesley lives on beautiful Cape Cod with her family, a couple of crazy cats, and her daughters’ large and ever-growing collection of stuffed animals. Review: Maximillian’s story primarily focuses on someone being different than their family and how expectations set by others in the family may not fit what another person excels at. As a teacher, I wish I could read this book to so many people because I really struggle with parents and educators expect a kid to be a certain way because they know a sibling or a family member. That isn’t how it always works. I think this same theme could be used to talk about how expectations have to be differentiated in general, so I could actually see this story being used to talk to evaluators, leaders, etc. to talk about why Maximillian needed a change of assessment instead of the same as everyone else. Underlying, the message is that we can’t expect anyone to be anyway. Let them show you who they are and accept and love them as they are. 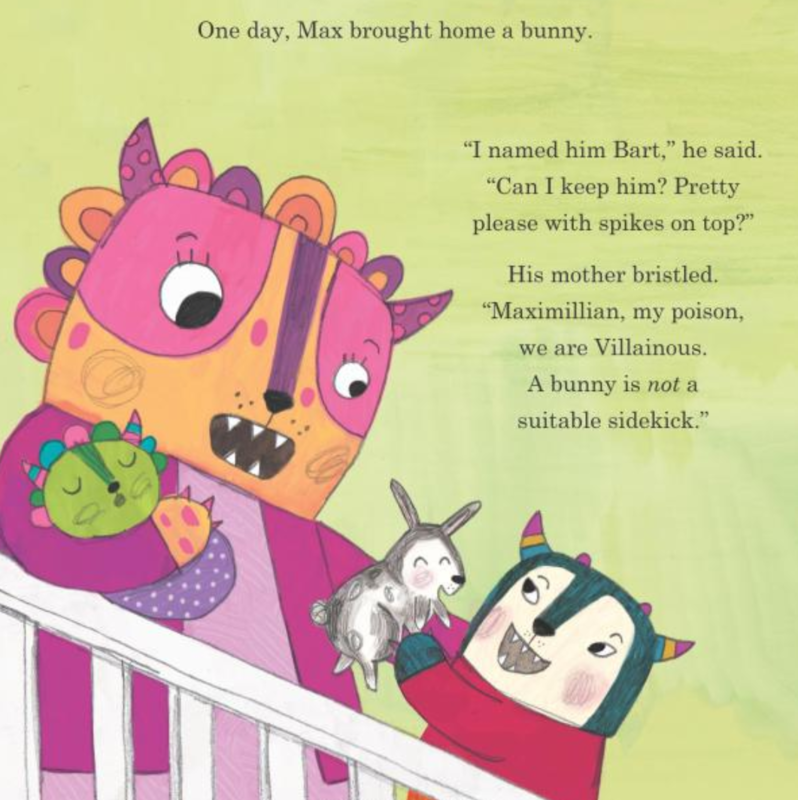 And all of these deep messages are within a funny story with fun illustrations about a monster who loves his bunny even though he is expected to be a villain. Teachers’ Tools for Navigation: Theme, theme, theme, theme!!! The author does a fabulous job writing a funny book that is just so perfect for talking about a lesson. The characterization of the Villainous family vs. Maximillian will allow for some fun compare/contrast and character trait activities as well. 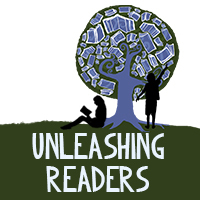 And this book definitely needs to join the empathy and community building read alouds–it will lead to some wonderful discussions and acceptance. Finally, I would love to see it used with teachers as a coaching tool to discuss the need to differentiate. Sometimes the directions we give need to be tweaked just a bit for certain kids, and we’ll get to see brilliance. How is Maximmillian different than the rest of his family? How does his family react to his differences? What does Maximillian prove by the end of the book? How did Maximillian manipulate the situation to show his worth? Have you ever been in a situation where you felt that something was unfairly expected of you? What is the message of Maximillian’s story?